By Mike Koehler on January 18, 2017 in 2017 Enforcement Actions, Charitable Contributions, Chile, DOJ Enforcement Action, Foreign Issuers, Political Contributions, SEC Enforcement Action, Sociedad Química y Minera de Chile S.A. The enforcement action is rife with policy issues including the proper scope of FCPA enforcement given that there is no U.S. nexus alleged other than SQM having Series B shares, a form of American Depository Shares, listed on the New York Stock Exchange and thus being required to file periodic reports with the SEC. The enforcement action included: (i) a DOJ criminal information charging SQM with violating the FCPA’s books and records and internal control provisions that was resolved via a deferred prosecution agreement in which the company agreed to pay a $15.5 million criminal penalty; and (ii) an SEC administrative order finding FCPA books and records and internal violations in which the company agreed to pay $15 million civil penalty. “From in or around 2008 to 2015, SQM’s corporate budgets included discretionary funding for the office of the Chief Executive Officer (“CEO”). In 2008, the CEO’s discretionary fund was approximately US $3.3 million; in 2014 it was approximately US $5.7 million. Funds budgeted for the CEO’s discretionary fund were designated within SQM’s accounting system as being intended for payment of, among other things, the CEO’s travel, certain of SQM’s publicity efforts, and consulting and advisory services deemed necessary by the CEO. Despite providing for a discretionary fund, SQM knowingly and willfully failed to maintain internal accounting controls that were adequate to ensure that the CEO’s discretionary funds were used for their intended purposes, were used in accordance with the law, and were properly recorded in SQM’s books and records. In fact, SQM Executive [described as a Chilean citizen who was an officer and high-level executive of SQM from 1990 until he was terminated by the company in March 2015 and who was one of the SQM executives responsible for implementing the company’s internal accounting controls – it is not too difficult to figure out from public sources that this person is Patricio Contesse] sought and received assistance from SQM employees to disguise some of the payments by directing them to create fictitious invoices and contracts for services that were not rendered, pay invoices for which there was no evidence of services being performed to justify the payments, and falsely record some of the payments in SQM’s books and ledgers. “Between in or around 2008 and 2015, at SQM Executive’s direction, SQM paid approximately US $14.75 million to PEPs and related parties without effective internal accounting controls, such as appropriate due diligence, documentation, or oversight. One way in which SQM made payments to PEPs was by routing payments to foundations supported by politicians. For example, between in or around 2008 and 2013, SQM transferred approximately US $160,000 from the CEO’s discretionary fund to foundations supported by Chilean Official 1. At SQM Executive’s direction, SQM also paid approximately US $630,000 from the CEO’s discretionary fund during the relevant period to foundations controlled by Chilean Official 2, who at times during the relevant period had influence over the Chilean government’s plans for mining in Chile, an issue of central importance to SQM’s business. […] In addition, Chilean Official 2 asked SQM Executive to support his daughter’s foundation. In or around January 2014, at SQM Executive’s direction, SQM paid approximately US $16,000 to a foundation supported by Chilean Official 2. Another way in which SQM made payments to PEPs was by paying vendors associated with PEPs pursuant to fictitious contracts and invoices for services that were not rendered, or contracts and invoices for which there was no evidence of services being performed. SQM did not conduct due diligence on or obtain anti-corruption representations from its vendors, and it allowed approval of payments to vendors without independent verification that the payments were proper, that the prices charged by the vendors for the purported services were reasonable, or that the services reflected on the vendor invoices had actually been received by SQM. The vendor invoices paid by SQM to vendors associated with PEPs indicated that SQM had received professional services in return for its payments, when in reality, SQM received nothing from the vast majority of the vendors submitting the invoices, and some of the invoices were simply created to disguise payments to PEPs. For example, in or around July 2009, at SQM Executive’s direction, SQM paid approximately US $11,034 on an invoice for purported “financial services” submitted by the sister-in-law of Chilean Official 3. However, Chilean Official 3’s sister-in-law rendered no services to SQM and submitted the invoice solely in order to facilitate a disguised payment by SQM to a Chilean senatorial campaign. “In connection with the improper payments described above, SQM falsely recorded some of these payments in its books and records in order to conceal the payment scheme. For example, SQM falsely recorded the payments … as “communications advice” and “consulting services” despite knowing that the payments were not, in fact, for such services rendered. In addition to concealing the nature of the payments from the CEO’s discretionary fund, SQM employees, including SQM Executive and other SQM employees, knowingly and willfully disguised the destination of these payments. For example, in or around February 2011, at the direction of SQM Executive, two SQM employees created a fake service contract for a fictitious vendor for the sole purpose of funneling SQM funds to a foundation controlled by Chilean Official 5. Between approximately 2008 and approximately 2012, SQM paid from the CEO’s discretionary fund 36 invoices submitted under the contract, for a total of approximately US $577,000. Similarly, in or around May and in or around June of 2013, an advisor to Chilean Official 1 invoiced SQM for approximately US $4,400 for purported engineering and statistical services. SQM paid the invoice and booked the payment as having been made in return for such services, despite knowing that such services had not been received from the advisor. “SQM personnel responsible for implementing and maintaining SQM’s internal accounting controls, including SQM Executive and another high-level executive, became aware of control failures relating to payments from the CEO’s discretionary fund to vendors associated with PEPs but nevertheless failed to take adequate steps to prevent further such payments. For example, during a 2014 internal audit, SQM identified six vendors paid in 2012 and 2013 that had “high risk” connections to PEPs. Each of the identified payments was made from the CEO’s discretionary fund and was authorized by SQM Executive. The internal audit report recommended SQM terminate any active contracts with the six high risk vendors identified, to require a compliance addendum for any future contracts, and to maintain backup documentation for each contract transaction. Based on the above allegations, the information charges SQM with violating the FCPA books and records provisions and internal controls provisions. The criminal charges were resolved via a deferred prosecution agreement which references the following relevant considerations. The DPA sets forth an advisory fine range of $20.6 million to $41.3 million and as mentioned above, pursuant to the three year DPA, SQM is required to engage an independent compliance monitor for two years. “This matter concerns violations of the books and records and internal control provisions of the FCPA by SQM. From at least 2008 to 2015, SQM made approximately US $14.75 million in improper payments to Chilean politicians, political candidates, and individuals connected to them (collectively, “politically exposed persons” or “PEPs”). Most of the payments were made based on fictitious documentation submitted to SQM by persons and entities associated with PEPs who posed as legitimate vendors to SQM (“third party vendors”). Those payments were not supported by documentation that those third party vendors provided services to SQM. Virtually all of the improper payments to PEPs were directed and authorized by a senior SQM executive. “SQM failed to conduct adequate due diligence on the third party entities who received payments from the CEO’s discretionary fund and as a result of a lack of adequate internal accounting controls allowed payments to the third party vendors without verifying that the payments were proper, that the prices charged by the vendors were appropriate, or that SQM had ever received the services reflected on the vendor invoices and contracts. SQM failed to conduct due diligence on such payments to foundations to ensure that the payments were proper and were not going to, or for the benefit of, PEPs. In addition, SQM management failed to exercise any oversight of the CEO Account. For example, in one instance a finance manager sent a senior executive of SQM an email discussing reports that he was preparing related to the activities of the CEO Account. In response to the finance manager’s query, the senior executive told the finance manager to send printed reports directly to SQM Executive only, stating that SQM Executive was “in charge of this.” The senior executive did not conduct any oversight of the CEO Account to determine whether funds were being properly expended by SQM Executive. Ultimately, SQM personnel responsible for implementing and maintaining SQM’s internal accounting controls became aware of control deficiencies related to payments to PEPs but failed to take appropriate steps to prevent further payments. For example, during a 2014 internal audit, SQM personnel identified six vendors paid in 2012 and 2013 that had “high risk” connections to PEPs. Each of the identified payments was made from the CEO Account and was authorized by SQM Executive. The internal audit report recommended SQM terminate any active contracts with the six high-risk vendors identified, require a compliance addendum for any future contracts, and maintain backup documentation for each contract transaction. 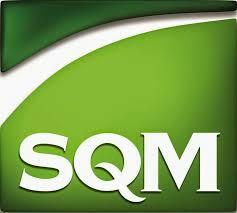 Despite these internal audit findings, which were provided to SQM Executive and another senior executive of SQM and were summarized for SQM’s board of directors, insufficient changes were made to SQM’s internal accounting controls. As a result, SQM’s improper payments to PEPs continued after the internal audit report for an additional six months. “SQM falsely recorded payments to the PEPs and related entities in its books and records as legitimate business expenditures. For example, as described above, SQM falsely recorded improper payments to PEPs as legitimate expenses for “financial services,” “communications advice,” “consulting services,” and “engineering services,” despite the fact that the payments were not for those services but were actually payments funneled to PEPs. Based on the above, the order finds that SQM violated the FCPA books and records and internal controls provisions and the company agreed to pay a $15 million civil penalty. 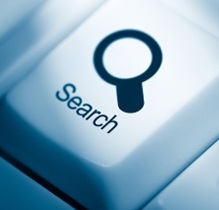 “In 2015, in response to inquiries from Chilean tax authorities and related news articles in the Chilean press, SQM conducted an internal investigation based on allegations that SQM had taken improper tax deductions for payments to certain vendors. As a result of its internal investigation, SQM undertook remedial measures, including: terminating SQM Executive; creating a Corporate Governance Committee; strengthening the Internal Audit department and creating a separate Compliance and Risk Management department and requiring them report to SQM’s board of directors; hiring additional compliance and auditing staff with significant experience; expanding accounting and compliance systems; making personnel changes to General Counsel’s office; hiring outside experts to review and improve SQM’s payment process controls and approvals, including controls related to payment process, due diligence of vendors, verification of services provided, and restrictions concerning potential conflicts of interest; reformulating SQM’s Code of Ethics; enhancing mandatory training related to the Code of Ethics, compliance and internal controls; and fully cooperating with Chilean and U.S. authorities. J. Allen Miller and Keith Rosen (Chadbourne & Parke) represented SQM. On the day the enforcement action was announced, SQM’s U.S. shares closed up 1.05%.